This course examines the complex relationship between digital technologies and warfare, from both the perspective of how wars are conducted, and how conflict is represented in and through media. In the late 1990s the US military committed itself to pursuing Network-Centric Warfare and Full-Spectrum Dominance, which eventually led to the largest military R&D contract in history--the Future Combat Systems program. Several years, two wars, and many billions of dollars later, those digital technologies are finding their way onto the battlefields of Iraq, Afghanistan, and the Global War on Terror. This course focuses on exploring the technologies and media that are having the greatest impact on the way war will be fought in the near future, as well as the cultural meanings of warfare, and the use of digital technologies to organize resistance and bring down political regimes. We explore how these technologies are changing the nature of warfare, and the rhetoric that is used to justify the development and use of these technologies, and how news media both discusses these technologies and is itself increasingly shaped by them. 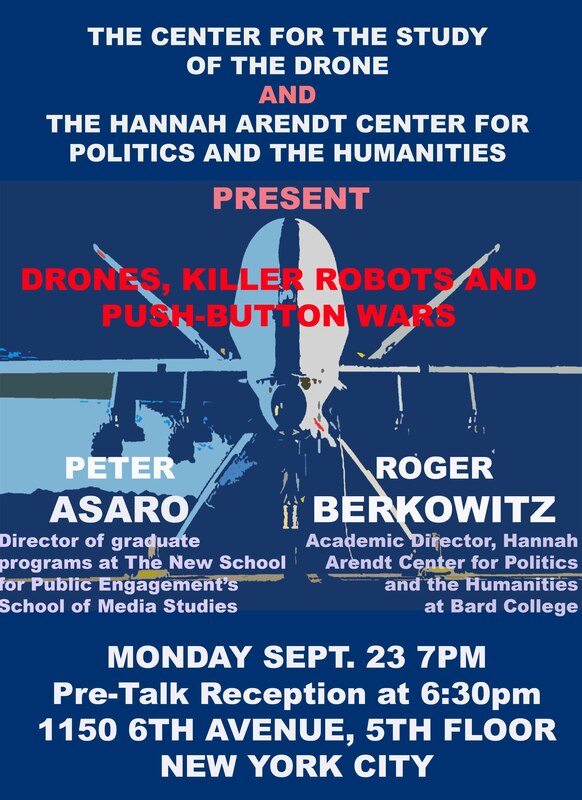 The course critically examines the claims that technologies can produce increasingly risk-free, or even bloodless, wars, and considers how the risks of engaging in armed conflict are being redistributed. We also examine how blogs and other digital tools are transforming war journalism, and how social media are being used in popular uprisings. Topics discussed include: the military's use of video game technology for recruitment, training, and remote interfaces; the use of database systems to manage vast quantities of information in warfare, as well as for data-mining and surveillance; the increasing use of military robotics including armed Predator and Reaper drones, and the development of fully autonomous lethal robots; and the use digital media by independent journalists and of social media, such as Twitter and Facebook, as well as cell-phone cameras in the Arab Spring and other popular uprisings and demonstrations. Each week we will have a student prepare comments and initate discussion on selected reading assignments. Each student is required to do 1 such presentation over the course of the semester. There will be 1 each week, and there will be a sign-up sheet. The goal of the presentation is to provide a short high-level critical analysis and assessment of the week's readings, followed by the initiation of class discussion. You are free to use visual aids, but elaborate PowerPoint presentations are unnecessary. DO NOT try to exhaustively summarize the readings! Everyone has already read them, it is your responsibility to bring out the key arguments, challenge their claims or conclusions, or otherwise synthesize your own analysis of what conclusions can be drawn or what further questions they raise. You will be required to make weekly blog entries commenting on the readings for the week. You will be required to create an account on WordPress (if you do not already have one), and send me an email with your LoginID and the EMAIL ADDRESS used to create the account, so that you can be added as an author for the collective course blog. Everyone will be posting to a common blog page, and this will be readable by your classmates. When writing and making comments, you are expected to treat other students with the same respect and courtesy as you should in the classroom. Glenn Greenwald, "Glenn Greenwald: detaining my partner was a failed attempt at intimidation," The Guardian, August 18, 2013. Glenn Greenwald, "'Sending a message': what the US and UK are attempting to do," The Guardian, August 21, 2013. Glenn Greenwald, "'Snowden: UK government now leaking documents about itself," The Guardian, August 23, 2013. Aliya Sternstein, "NSA's Big Dig," Government Executive, August 1, 2013. Victoria Brownworth, "Op-ed: How Bradley Manning Changed The Fate of Whistleblowers", The Advocate, July 31, 2013. Marjorie Cohn, "Bradley Manning: An American Hero," Pvt. Manning Support Network Blog, July 31, 2013. Wikileaks, "Response to Today’s Bradley Manning Statement," Wikileaks.org, August 14, 2013. Peter Ludlow, "The Banality of Systematic Evil," Op-ed, New York Times, September 15, 2013. Watch: Jouneyman Pictures, "Mega Man - New Zealand," March 4, 2013, YouTube, 20 min. Watch: 3 News, New Zealand, "Kim Dotcom Addresses NZ Parliament," July 3, 2013, YouTube, 18 min. Watch: 3 News, New Zealand, "Kim Dotcom: Leaks by Snowden," July 3, 2013, YouTube, 7 min. Watch:Amy Goodman, "Full Extended Interview With WikiLeaks’ Julian Assange on Manning Guilty Verdict," Democracy Now!, July 31, 2013, 43 min. Watch: Amy Goodman, "Full Extended Interview With Manning’s Attorney After 35-Year Sentence," 57 min., Democracy Now!, August 22, 2013, 57 min. Watch: Kyle Broom, "Prevention of Injury" (2011), 21 min. Watch: Nova (2013) Rise of the Drones, January 23, 2013, PBS, 53 min. Bradley Peniston, "Deptula: 'Combat Cloud' is 'New Face of Long-range Strike'," Armed Forces Journal, September 18, 2013. John Markoff, "Military Lags in Push for Robotic Ground Vehicles," New York Times, September 22, 2013. Dana Priest and William M. Arkin (2011) "Top Secret America: A look at the military's Joint Special Operations Command," Washington Post, September 2, 2011. Saturday & Sunday, October 19-20. There will be a sign-up sheet for those interested in volunteering as facilitators, you will also need Passes to enter the UN (which will require passports). "The State of Surveillance: Legal, Cultural, and Technological Perspectives"
Smedly Butler (1921) War is a Racket. Tim Lenoir (2000) "All but War Is Simulation: The Military-Entertainment Complex," Configurations, 8 (3), Fall 2000, pp. 289-335. James Der Derian (2001) Virtuous War: Mapping the Military-Industrial-Media-Entertainment Network, Boulder, CO: Westview Press, pp. 1-121. Brian Burridge (2003) "UAVs and the Dawn of Post-Modern Warfare: A Perspective on Recent Operations," RUSI Journal, 148 (5), October, 2003, pp. 18-23. David Axe (2012) "From Bug Drones to Disease Assassins, Super Weapons Rule U.S. War Game," Wired Dangerroom Blog, August 24, 2012. Nick Turse (2009) The Complex: How the Military Invades Our Everyday Lives, Metropolitan Books. Watch: President Dwight D. Eisenhower (1961) Farwell Speech, 15 min. Watch: Veterans Today (2011) VFW Speech by Smedly Butler, 9 min. 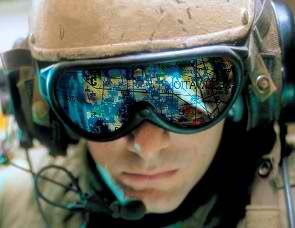 Watch: Frontline (2010) Digital Nation, Waging War: Immersion Training, PBS, 15 min. James Der Derian (2001) Virtuous War: Mapping the Military-Industrial-Media-Entertainment Network, Boulder, CO: Westview Press, pp. 122-221. Seymour Melman (1970) Pentagon Capitalism: The Political Economy of War, New York, NY: McGraw Hill, pp. 1-138. Watch: Eugene Jarecki (2005) Why We Fight, 98 min. Watch: Robert Greenwald (2006) Iraq for Sale: The War Profiteers, 75 min. Mikkel Vedby Rasmussen (2006) The Risk Society at War: Terror, Technology and Strategy in the Twenty-First Century, Camreidge, UK: Cambridge University Press. David Ropeik (2011) "Risk Perception," Nature, SoapboxScience Blog, May 11, 2011. Rachel Plotink (2012) "Predicting Push-Button Warfare: US Print Media and Conflict from a Distance, 1945–2010," Media, Culture & Society, 34(6), pp. 655 –672. Jeremy Scahill, "Chapters 1-8", Dirty Wars: The World is a Battlefield, Nation Books: New York, 2013, pp. 1-101. Oscar Rickett, "We asked a Military Expert if All the World's Armies could Shut Down the U.S.", Vice Magazine, October 6, 2013. Christopher Coker (2009) War in an Age of Risk, Cambridge, UK: Polity Press. Watch: Peter Davis (1974) Hearts and Minds, 112 min. Watch: Errol Morris (2003) The Fog of War: Eleven Lessons from the Life of Robert McNamara, Sony Classics, 95 min. Watch: Frontline (2011) Top Secret America, PBS, 54 min. Watch: Rick Rowley (2013) Dirty Wars, 87 min. Matthew Bolton and Thomas Nash, "The Role of Middle Power–NGO Coalitions in Global Policy: The Case of the Cluster Munitions Ban," Global Policy, Volume 1, Issue 2, May, 2010, pp. 172-182. Matthew Bolton, "From Minefields to Minespace: An Archeology of the Changing Architecture of Autonomous Killing in US Army Field Manuals," Draft Paper, 2013. Global Coalitions: An introduction to working in international civil society partnerships,Action on Armed Violence, 2011. Matt Bolton, "Ways of Work," Statement to the First Committee of the UN General Assembly, October 29, 2013. Mark Gubrud, and Jürgen Altmann, "Compliance Measures for an Autonomous Weapons Convention," ICRAC Working Paper #2, May 31, 2013, pp. 1-8. Watch: Mary Wareham and Brian Liu (2005) Disarm, 67 min. Oliver Woods (2012) "Israel's Social War: Strategy & Tactics," The Big Picture, Nov 18, 2012. 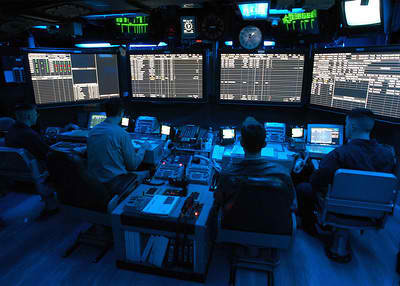 Patrick Lin, Fritz Allhoff and Neil Rowe (2012) "Is it Possible to Wage a Just Cyberwar?" The Atlantic, June 5, 2012. Nick Fielding and Ian Cobain (2011) "Revealed: US spy operation that manipulates social media,"The Gaurdian, Thursday 17 March 2011. Evgeny Morozov (2011) "Political Repression 2.0," New York Times, September 1, 2011. Ellen Nakashima and William Wan (2011) "China's denials about cyberattacks undermined by video clip," Washington Post, August 24, 2011. Ellen Nakashima (2011) "Cyber-intruder sparks massive federal response and debate over dealing with threats," Washington Post, December 8, 2011.